I've held off wearing red lipstick for a while because summer demands more flirty colors, but now that the mood seems to be coming to an end, the classic palette is back. But that's just me though so don't take my word for it. ;) Hehe. 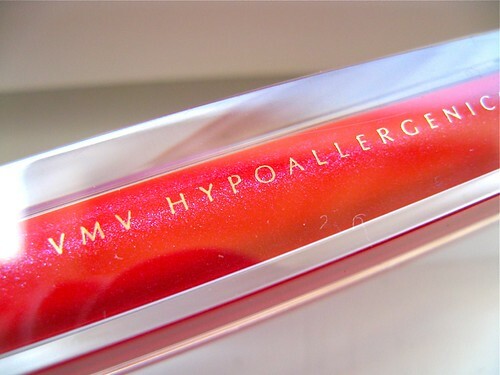 Anyway, one of my favorite shades of red is this new color from VMV Hypoallergenics. 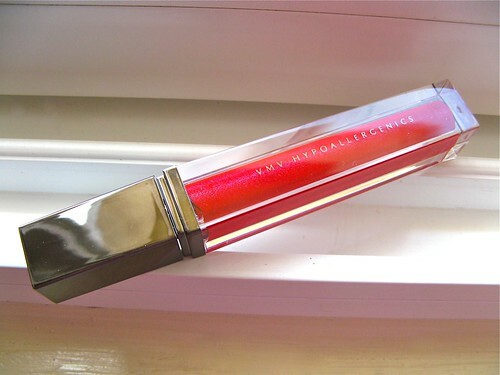 It's their Lip Glitter Gloss in Cherry Fizz (P1,200), a bright red with silvery blue glitters. I know that this is probably sounding a few alarm bells in your head, but don't worry - the glitters are quite fine so they don't really show when you have the gloss on. The Lip Glitter Gloss formula is closer to being that of a lipstick than the usual lip gloss. 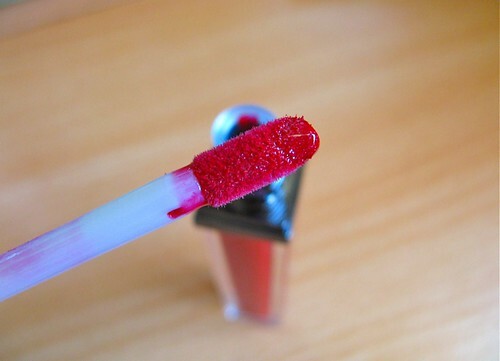 It's highly pigmented and doesn't have that goopy feeling on the lips. You only need very little (like one dip) to apply the color evenly, so it feels comfy and cushy when worn. Cherry Fizz leaves a nice stain on the lips after eating and drinking, so you only need to re-apply once. Staying power is good plus this gloss isn't drying (provided you wear balm first). 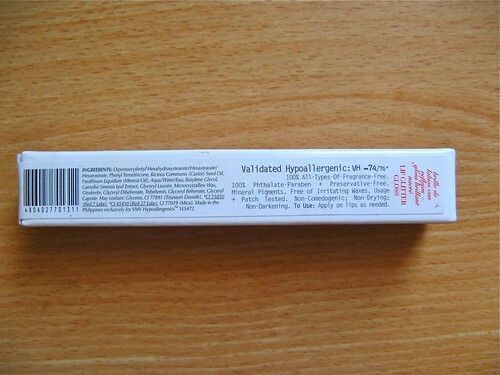 Of course, since this product is from VMV, you can expect that it's completely safe for sensitive lips. 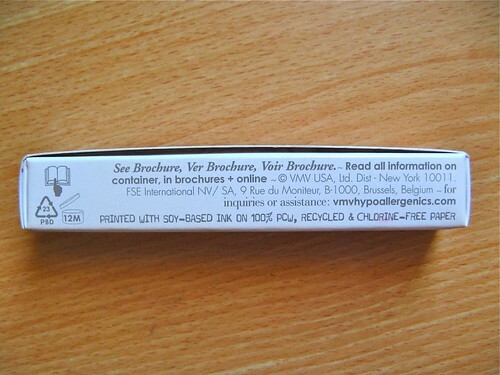 Oh, I also have to mention that the pretty box that it comes in is printed with 100% soy-based ink on recycled, chlorine-free paper. You're also helping the environment - other than your skin - whenever you buy VMV. 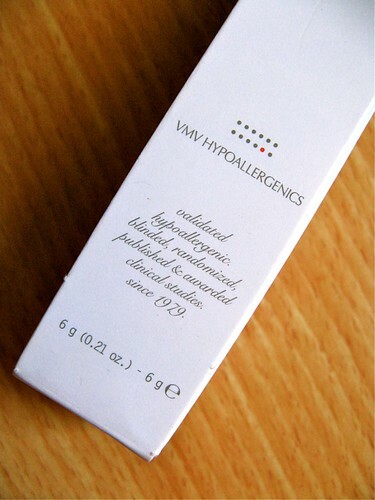 Overall, the VMV Hypoallergenics Lip Glitter Gloss in Cherry Fizz is a great lip gloss that delivers color and comfort to your lips. It's quite pricey, but you get 6 grams (double the average amount of lipstick) so I reckon this will last quite a long time. If you're not comfortable with bright red, I suggest you check other colors out in your nearest VMV branch!